See what the team at Reciprocity has been up to. An enterprise software startup veteran, Ken has always been fascinated about what drives workers to work and how to make work more engaging. He founded Reciprocity to pursue just that. He has propelled Reciprocity's success with this mission-based goal of engaging employees with the governance, risk, and compliance goals of their company in order to create more socially minded corporate citizens. Ken earned his BS in Computer Science and Electrical Engineering from MIT. Ken spent 3 years paragliding in the Himalayas. He founded the Reciprocity Volunteer Foundation and is a Burning Man Participant. Rob is a consummate startup professional who loves watching an idea turn into a business that changes peoples' lives. Before coming to Reciprocity, Rob helped several startups such as Veetle, NotchUp, Peerflix, and Vysion Solutions launch and scale in a variety of roles including business development, product management, and strategy. Rob is passionate about early-stage startups, product management, design, marketing, and many of the other bits and pieces that form success in enterprise. Rob is an avid rock-climber and cross-fit enthusiast. He is a top notch BBQ chef and a dad-to-be. Jordan MacAvoy is the Vice President of Marketing at Reciprocity Labs and manages the company’s go to market strategy and execution. Prior to joining Reciprocity, Mr. MacAvoy served in executive roles at Fundbox, a Forbes Next Billion Dollar Company, and Intuit, via their acquisition of the SaaS marketing and communications solution, Demandforce. He brings to the team nearly two decades of marketing and business development experience helping to grow early-stage, venture-backed companies. Mr. MacAvoy is a graduate of Boston University. With over 15 years of experience in product and strategy, Michael brings a love of building and shipping to Reciprocity. Laser focused on customer experience, simplification and ease of use, Michael built Atlassian's cloud offerings from the ground up following stints at PGP and Apple. Michael spends his weekends mountain biking and (mostly) avoiding trees. Joe Alfaro has more than 25 years of technical and leadership experience at companies of all shapes and sizes. He is passionate about building great teams and motivating them to life best performances. He knows if you hire really smart, talented, motivated people, and you give them a crystal clear vision and the tools they need to do their job, they will amaze you. Our people are our most valuable resource. My job is to do everything I can to make each individual on my team be successful, because that’s the key to long term company success. Joe is an avid soccer fan. In a past life he got paid to coach competitive youth soccer teams. Some of his players went on to play professionally. He learned many lessons from this experience that apply to leading technical teams. Joe also loves to travel and has combined this with his love for soccer and has traveled far and wide to some of the best known soccer meccas. Joe also enjoys long distance running because his love of food requires a big calorie output. Joins as our new interim CFO. 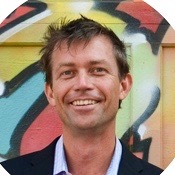 Ray has served on Reciprocity’s Board of Directors and works in technology investment. Ray is an MIT Rocket Scientist Inventor of the air-breathing ion rocket engine. Ray has 4 chickens, 1 rabbit, a dog, a cat, and 4 children. Amy functions as the lifeblood of Reciprocity, creating and streamlining operations for a successful organization. Prior to Reciprocity, Amy worked at several startups helping to scale out operations including recruiting, management, process creation, customer service, and domestic and international expansion. Amy enjoys all things outdoors including camping, hiking, biking, and skiing. Paul has a long track record of building customer-centric organizations. He believes it starts with understanding his internal and external customers ROI. By investing in people, process, and technology, he has been able to assist companies in the realization of success. Before coming to Reciprocity, Paul helped develop several companies such as Humanity, Marketo, Gainsight. Dave has proven success for establishing, transforming, and leading internal audit functions with over twenty years of experience in public and private organizations in a wide-variety of industries. He has specialized in leading financial/operational/IT audits, SOX compliance, business process evaluation and improvement, systems implementation and evaluation, and fraud investigation. He is a Certified Public Accountant (CPA), Certified Internal Auditor (CIA), Certified Information Systems Auditor (CISA), and Certified in Risk and Information Systems (CRISC). Dave has also served as guest speaker at several national conferences on various auditing and fraud prevention topics. Most clients say that Dave doesn’t act or seem like an auditor, and that’s because he’s personable and focuses on people as much as process and technology. He simply enjoys life by traveling, cooking (and eating), and watching movies with his wife and daughter. In his free time, Dave plays golf, sings, and plays music. He has also been an active volunteer, Board member and supporter for various not-for- profit organizations including Kansas Children’s Service League, Goodwill Industries, and Big Brothers/Big Sisters. Head of Technical Operations and Data Engineering Studied Mechanical Engineering at MIT, but traded in his calipers for a keyboard years ago. SF and NYC expat living in Venice Beach. Alan is an experienced compliance and governance professional that began his career working for a major U.S. airline before moving into the IT industry. With over ten years of experience in guiding organizations through the sometimes tricky area of regulatory compliance, he also has extensive experience in performance auditing, process development and improvement, and business continuity planning. Alan specializes in a collaborative approach to GRC, helping organizations see the value in partnering with GRC teams to achieve governance and compliance goals. Alan is an avid hiker, camper and nature enthusiast. He enjoys spending time with his large family, exploring the outdoors, and training for marathons. In what little quiet time he has, he enjoys working in his garden, reading, writing and cooking. Alejandro has a strong background in customer success throughout his professional career. From working directly with surgeons in operating rooms to escalating customer complaints to the FDA, he always ensures the customer receives the best experience possible. He is a strong advocate for cross-collaboration and team outings. Alejandro spent time touring with his dance company Los Lupeños de San José, a traditional Mexican dance ensemble. He also instructed a children’s dance group and constantly performed throughout the community. In his spare time, he will often be found DJing weddings, jamming out with the band, and rooting on the San Jose Sharks. Aleksandra is a full stack software engineer with a master degree in computer science. Prior to joining Reciprocity she was working as a software engineer in multiple different fields, her latest being cyberGRID. Aleksandra loves to travel and exploring new places, local food specialities, and craft beers. But quiet nights spent watching one of her favorite tv shows or playing board games are ok too. Amanda has a wide range of experience in delighting customers. Whether it’s offering expert advice in purchasing diamonds and fine jewelry, or guiding her customers through best practices in the pay-per-click ad space and employer branding. Amanda makes a point to bring data to the party. She believes strongly in understanding the needs and wants of her customers, and then finding ways to bring forward data and reporting to support them. She loves finding creative ways to get customers engaged and advocating for anything that improves the overall customer experience. Amanda loves long walks on the beach and romantic fine dining at restaurants. No, really. She’s also an avid world traveler and an enthusiastic home cook. When not traveling to new and exotic places, Amanda enjoys coaxing her small garden to life and cheering on her beloved Seattle Sounders. She and her husband are animal lovers and they keep a small menagerie of furry friends at home. 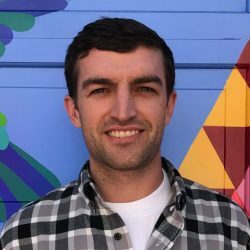 Before joining the Reciprocity team, Antonin gained a BA in Environmental Studies from UC Santa Cruz and developed a strong background in customer-facing industries. He is excited to bring his professional skills and experience to the Tech industry and help Reciprocity connect customers with solutions, creating sustainable relationships that improve work processes! Antonin is passionate about connecting with the outdoors and staying active primarily via hiking, surfing, and soccer. Additionally, he loves to stay curious and travel, explore new cultures, and experiment in the kitchen! Anže's fascination with computers began at a young age, and he started programming in high school. He received a degree in software engineering from the University of Ljubljana and is now Reciprocity's star front-end developer. Anže co-published "Reservoir Sampling Techniques in Modern Data Analysis". Anže enjoys surfing, biking, and hiking. He donates to a local group of open source enthusiasts and participates in charity game jams. Ben is a seasoned entrepreneur who has spent the last 11 years building Business Development & Marketing programs for multiple technology startups. Before teaming up with Reciprocity, Ben ran Marketing and Business Development for Swiftype, and Digital Marketing for Opower during their IPO. Ben has a BA in Marketing and a Minor in Psychology from the University of Georgia. Ben started and plays drums for the Brass Animals, a New Orleans style brass band that plays hip-hop, R&B, and funk covers. When his band isn’t playing shows around Northern California he enjoys hiking, eating BBQ, and going to baseball games. After wrapping up an exciting 8-year professional cycling career, Bernard has spent the last five years evangelising modern solutions to traditional industry challenges. Having experience in both small silicon valley startups and large industry goliaths, Bernard has found the agile and cutting edge nature of startups to be a great place to call home. Bernard earned his BS in Chemistry at UCLA and greatly enjoys contributing to the growth of emerging technology solutions. Though the miles per week has drastically changed, Bernard still enjoys getting out for a spin as often as possible, be that on the local roads or trails. When not riding, DIY projects like chimney extensions or crown moulding are a weekend staple. With more than ten years of experience, Brad provides business performance, information technology, and assurance services to clients across a variety of industries. He specializes in helping clients to assess, design, and implement processes and controls – leveraging industry standards – to meet customer, regulatory, and compliance requirements. He is a Certified Public Accountant (CPA) and a Certified Information System Auditor (CISA). Prior to forming Barr Assurance & Advisory, Brad was a manager in KPMG's risk consulting practice. In his spare time, Brad enjoys traveling across the globe and helping kids realize their full potential through the Big Brothers Big Sisters organization. Brittney Decker, a successful Sales Development Manager, is known for coaching, motivating, and supporting her team of all-star SDRs. Brittney has worked for a variety of industry-leading SaaS startups and enjoys discovering new technologies that allow for the workplace to be more productive and enjoyable. When Brittney is not hiking with her black lab Cooper, she can be found cooking something spicy. Her interests also include travel, wine tasting, yoga, music, and reading. Cassie is a human resources professional with a passion for organizations and how people succeed within them. She brings a variety of experiences to Reciprocity, including recruiting, HR, employment law, and coaching. Cassie earned a Bachelor’s degree from the University of California, Berkeley, where she studied business, psychology, and sociology. Fascinated by the intersection of technology and human resources, Cassie wrote her thesis on automation technology’s impact on labor. Cassie loves traveling, cooking, and spending time with friends and family. A lifelong athlete, Cassie also enjoys gymnastics, soccer, kickboxing, yoga, and running. From Charles's first sales job he knew that this was the career for me. He comes from a construction background, two years with sales and two years with account management. He took a career sabbatical in January of 2016 to teach English and study Mandarin in Beijing China, during his time there he gained an indescribable amount of experience and knowledge that he will carry with me. He is looking forward to his new journey in the tech industry and is excited to see where it takes him. Charles enjoys anything that gets me outdoors. He absolutely loves spending his weekends in Monterey, where he can scuba dive with my friends, hangout and feel that fresh ocean breeze. He also really enjoys golf although he is not very good, but hey who is? Aside from that you can usually find him sipping on a nice IPA at some of my favorite watering holes. After a 4 year career as a professional baseball umpire, Chase moved to San Francisco and began working in business development for mobile and analytics companies. He enjoys understanding the mechanics of a business and how technologies can help them become more efficient. Chase is proud alumnus of James Madison University in Virginia. Chase enjoys staying active in his free time by playing basketball, swimming and working out. He's a history geek that loves listening to music, podcasts and audio books. Christina, based in New York City, supports the Reciprocity team remotely in the areas of recruitment, administrative tasks and fundraising. Christina has a varied background, working for political campaigns, the White House and other nonprofits, after receiving her MA Human Rights from University College London and BA Political Science from the University of North Carolina at Chapel Hill. Christina loves traveling and tries to visit at least one new country a year. She's an avid Tar Heel basketball fan and plays on several recreation soccer leagues. On the weekends, she enjoys exploring the city and surrounding areas. Christine has 13+ years’ experience delighting a wide range of international customers within the Information Security Industry. She is passionate about connecting with customers on a personal level and strives to understand what drives each of them and their goals. She enjoys learning new technologies and then translating complicated processes into digestible terms for anyone to understand. Christine has a passion for culinary arts, history, and travel – all of which go hand in hand wherever she explores. When she’s not traveling or city hiking in San Francisco or Oakland on the weekends, you can find her entertaining extended family or spoiling her whiskered fur babies at home. Cooper works hard all day attending meetings and greeting new people who walk through Reciprocity. Cooper loves snacks, hiking, and running through the park. Craig has spent most of his career at technology companies. Before enabling state of the art growth efforts at Carta, Trustwave and Healing Touch, Craig co-founded a blind navigation startup with the mission of making the white cane obsolete and replace it with a wearable glove which took mobility for the visually impaired to the next level. At Reciprocity, Craig's mission is to help enterprises better understand & eliminate risks and streamline their compliance management. Craig enjoys reading a mix of History and Business. His favorites include The Ascent of Money by Niall Ferguson and Dream Big (3G Capital) by Cristiane Correa. During the weekends he enjoys playing the latest RPG games and listening to Sam Smith and Sia. Daana has spent the last 7 years working in various sales roles for Marriott International. After being in the Hospitality industry it has helped her become an expert in creating strong and productive relationships with customers. Since moving to the Bay Area a few years ago, she has been interested in moving into the Tech industry and is looking forward to contributing her sales knowledge and experience to a rapidly-growing startup. She is also a graduate of Virginia Tech. Traveling and playing with dogs are two of her favorite activities. Philanthropy is a passion of hers, so she spends a lot of her free time volunteering. She loves playing board games and fishing, but she can’t resist a good bottomless brunch or a trip to go wine tasting. Before joining Reciprocity, Daniel spent the past four years in various areas, including healthcare consulting, and helping launch the biggest sports retail company in the US. He is excited to bring his years of customer facing and outreach experience to the sales team at Reciprocity. Daniel graduated from the University of California, Santa Barbara with a degree in Communication. Daniel lives life to the fullest and tries to enjoy every moment. He absolutely loves spending time with his wife and two-year-old husky. If Daniel is not in San Francisco, you can likely find him on the mountains of Lake Tahoe, snowboarding in the winter, and hiking in the summer. He also enjoys cooking, fitness, traveling, and a lifelong passion for playing the saxophone. Dávid started his career at KPMG then at Deloitte as an IT Security Auditor and Advisor. He joined Reciprocity first in the Customer Success team as a GRC Expert and later started to utilize his knowledge in the product team. Dávid also gained experience in various startups as a product manager and COO as well. Dávid holds a bachelor degree in Applied Economics and a master degree in Business Information Technology. Dávid loves classical music and contemporary arts. In his free time, he enjoys being in the nature hiking, mountain biking, and skiing. He is always (literally) accompanied by his loyal hound, Nudli. David has over 15 years of experience in the information security field providing clients with innovative and value driven solutions. He has worked in a wide variety of positions from the trenches of operations to strategic consulting. He has helped clients in various industries across four continents reach their information security and compliance goals. David is a GRC evangelist and is focused on helping customers unlock the full potential of their compliance program. After nearly a decade and a half of extended vacationing, David returned back to the US and now calls Alaska home. He spends his free-time as a bush pilot and guide, and enjoys exploring the road less traveled with tourists and friends alike. David studied Computer Science at the University of Ljubljana, where he was also member of the Laboratory for adaptive systems and parallel processing focusing on artificial neural networks and high performance computing. He also co-founded a company where he helped with designing embedded computer systems primarily working on Linux support and bootloaders. For a few years now, he is fascinated by software-defined cloud computing helping different companies design cloud-based infrastructure to help them efficiently run their services and applications. David enjoys running and would like to visit and finish all six Marathon Majors. In his off time he also likes to watch a good sci-fi TV show or reads a science book. Deepthi comes from the healthcare industry with a strong professional background in customer success and interpersonal skills. From being a certified nursing assistant in Rhode Island to managing optometry clinics in California, Deepthi has a well-rounded skill set based in highly regulated settings which also require empathy. Deepthi's focus at Reciprocity will be in developing a strong connection with the customer and strengthening the communication flow to achieve synergy. Deepthi is an equal parts car enthusiast and a pet lover. She can either be found cuddled up with her cat, Cookie or enjoying long drives in her 'Wicked Ivy' mustang with her husband. Dexter is an experienced customer service veteran with over 13 years of experience. Having worked in multiple industries such as pharmacy, telecommunications, hospitality, and most recently at a few startups around town. He enjoys the challenge that comes with making customers happy and takes delight in turning negative situations into really positive interactions. His goal is to stay up-to-date and implement current technologies to bring customer satisfaction to new highs. When Dexter isn’t at work you can find him some sort of sporting event. As a native San Franciscan, he is a big fan of the Giants, 49ers, Warriors, and Sharks. When the teams are out of town, he enjoys dining around town and trying out new restaurants in the city by the Bay. Diana comes to Reciprocity with nine years of product management experience at Microsoft and Guidewire Software. She has spent her career focused on user experience, productivity tools, and enterprise platforms. She is passionate about design, customer success, and solving complex problems. Diana is an avid reader and watcher of everything pop culture has to offer. On fall weekends, you can find her hosting tailgates and cheering for Stanford football. The rest of the year, her weekends include escape rooms, road trips, board games, theater, and time with family and friends. Don has been the go-to person for getting things done through technical individual and leadership roles for over two decades. From shipping military mission planning systems to leading architectural transformations to empowering remote teams, Don is passionate about making business goals a reality through any means necessary. Don strongly believes that to play, as a customer-focused team, you need to be the change you seek through open, no BS communication. I was one of those kids who's father brought home a brand new, rather expensive Personal Computer, much to my mother's and the family checkbook's dismay. Still, the $800 USD for the cutting edge Atari 1200XL turned out to be one of the best investments he ever made, at least from my perspective. With little money left over for games, I was compelled to learn BASIC and write my own, and I haven't stopped coding since. Erica has spent the last four years in the tech startup world. She loves the fast paced, collaborative team environment start ups offer. Her background has been on the sales side where she was an Account Executive for Humanity, and then transition to a Sales Operational role at Pinterest. Erica is jumping into the CSM role where she is excited to use her passion finding success with clients and improving process efficiencies. Erica enjoys snowboarding in the winter, and hiking in the summer. She loves planning trips and exploring new places/countries, trying new restaurants, and coaching volleyball. Eric is a start up veteran who enjoys building businesses and realizing the potential of innovative ideas. He has participated in several successful ventures in the security field such as, Postini and nScaled. He has a strong understanding of what it takes to make it in new markets. Eric is a hard charging sales professional with deep understanding of client requirements and an ability to match solutions to complex problems. Eric is kitesurfer, surfer and skier. Most weekends you can find him on the water, or in the mountains with his family and friends. Gabriel enjoys spending time with his family and friends. He always makes time to grill food, exercise outdoors and checkout live music or sports. Gerard joined Reciprocity in June 2018 from Orion Health where he was responsible for leading their risk assurance, privacy, and security function. Prior to Reciprocity and Orion Health, Gerard has deep experience in building and growing global quality, information security, and compliance teams from skeletal beginnings in multiple different industries. Early on in his career, he was a Senior Engineering Manager for Dell Computers and achieved Lean Six Sigma Master Black Belt Certification from Bridgestone Americas. Gerard received his Bachelor of Science in Mechanical Engineering from Purdue University and Masters in Engineering Management from University of Alabama. Gerard enjoys completing DIY home construction projects, hiking, grilling, and catching an afternoon tee time. Gerard has a wife and three children who are all graduated engineers. In addition, he has a black lab named Lucky that joined the family recently. She enjoys walking through home improvement stores as much as Gerard enjoys finding a new tool. Igor is a self-taught designer with 10 years of experience in design and UX. He started out at a TV station and moved to small print shops, slightly larger design agencies, startups, and mobile development companies. His dream was to work on a product that makes an actual difference in people's lives. That is just one of the reasons he joined Reciprocity. In his spare time Igor enjoys watching hockey and quality sci-fi. He loves almost all forms of sports (except maybe running) and travel with his wife. Ines studied Computer Science at the University of Ljubljana, Slovenia and at the University of Southern Denmark in Odense. Since then she has participated in numerous coding projects in numerous programming languages, from a weather-aware wake-up alarm clock over an elaborate user-management system to a RESTful API data exchange system and browser push notifications. Over the years she has become a proficient bug-finder, refining her skills to swiftly deduce what code or setting is causing undesired behaviors. Ines has had the distinct privilege of giving a talks for knowledge-eager programmers, which is a joyous experience up until the moment you step onto the stage, and a dreadful experience until you step off the stage, when it becomes joyous again. Ines is that she does not have a favorite programming language. Languages come and go, it is the programmer's responsibility to make good use of them. Ines is a huge fan of words, particularly as they are used in poetry, poetic literature, philosophical discussions, satiric societal portrayals, eloquent word plays, and anything where wit or insight is expressed in beautifully phrased sentences. The only thing that outshines a collection of words excellently put together is a fun mathematical puzzle. Ivan Spasojević focuses on quality assurance in software projects. He enables fast, seamless, and easy continuous integration process. He likes to be present in every step of production flow. Ivan has seven years' experience in IT as desktop application developer, web developer, RDBMS developer, and test developer. He has created several test automation frameworks for different types of software products. He is a conference and meetup speaker and a strong advocate for automating processes. In spare time Ivan enjoys traveling, books and a glass of good wine. He is a sci-fi enthusiast, used to rock climb, pilots a small aircraft, and when the weather is good, enjoys long bicycle rides. He loves a good BBQ with friends. Jason is passionate about discovering the financial, business, and human concerns that drive business and bring new offers into existence. A seasoned sales professional, he’s worked at ServiceMax and TriNet, as well as a personal financial advisor. This is his first experience at a startup, and he’s excited to be on the ground floor of a growing and ambitious company. Jason enjoys triple digit bike rides and religiously listening to Beatles records. Jeff is interested in computer networks, scalability, and security. He specializes in software architecture, development, and infrastructure, and enjoys learning about innovative middleware that helps make the internet a leaner, more user friendly environment. Jeff works on a few open source projects which you can find at github.com/tachang, including widely used open source SAML. Jeff volunteers with ChickTech, a non-profit dedicated to helping girls in high school get into coding/technology. He is a total foodie and loves cooking; his specialty is roasting tri tip steak. Joe has a strong background in customer facing business development roles and is passionate about Silicon Valley (the TV show). Before embarking on his sales career he spent a year in Korea teaching English. Joe graduated from San Jose State with a degree in marketing. Joe enjoys beer league hockey, golfing, and "playing" on a rec softball team (shout out to the Porters). When he isn’t participating, Joe is supporting the Sharks, Giants and Warriors. Joe is a recent graduate of UC Davis with a BA in Comparative Literature. He is ecstatic to begin his career in the tech industry and to move back home to his native San Francisco. In the past, he has worked jobs ranging from sales, to legal, to construction, to food service, and he strongly believes in the importance of blue-collar work experience. He has strong leadership and rhetorical skills and is eager to take the next steps in his career. Joe enjoys reading books, drinking tea, watching movies, eating out and finding new music. In his spare time, he can found with a beer in hand, trying new recipes, planning his next camping trip, or walking through our beautiful city. Prior to joining Reciprocity, Jonny has been part of smaller organizations, where he has helped set processes and scale teams. He is now looking in bringing quick thinking and craftiness to build a strong pipeline. Whenever Jonny has free time you can find him at a local brewery trying new beers or at the ballpark watching a game. Jošt previously played volleyball professionally and still plays just for fun. He loves to travel with his wife or friends and tries to visit a few new countries each year. Justin has over 8 years of technology sales and business development experience, with a strong passion and affinity for startup culture. Most recently he has acquired GRC experience while working for TRUSTe; the global leader in data privacy management. Justin possesses a BS in Management Information Systems from Sacramento State University. Justin enjoys boating, rock climbing, board sports (snow, skate, wake, surf), technology, FPS games, dogs, reading non-fiction, and travel. Karen graduated with a BA in Literature from Trinity College in Hartford, CT and then completed a Juris Doctorate degree from the University of Connecticut School of Law. In law school, she administrative law and regulatory compliance. In 2004, she started Allegro Solution where she organized the compliance programs for several community banks as a contract compliance officer. She moved into internal audit a few years later. A self-proclaimed "Major Geek," Karen writes for www.geekdad.com where she waxes poetic about comic books, social issues, tech gadgets, and movies. She is also an avid knitter who enjoys making socks. Prior to Reciprocity Keiko was a Sales team Manager at the San Francisco Headquarters of Yelp. Her time there was spent building up her style and gave Keiko the foundation she needed to be successful in the sales world. Moving quickly through the ranks she went from an account executive to a management role in less than a year. Looking for a new challenge she joined this team at Reciprocity and fully plans on growing with this wonderful start up. When Keiko isn’t taking the sales world by storm she fulfills her time with her passion for photography and writing. Keiko takes photos of everything, from landscaping to street art , and enjoys writing about whatever comes to mind. Before Korina came to Reciprocity she worked as an executive assistant to multiple attorneys's. She is excited to work at a growing startup in new technologies! On her free time loves to travel, hike and go to festivals around the world. Product Implementation Manager with 15+ years of delivering customer-focused training solutions in a variety of industries. Leigh Ann is an accomplished educator who has created tailored training programs and managed teams with a goal of providing customers with the knowledge and tools to be successful. Using her engineering and educational background, Leigh Ann is able to adapt training to suit individual customer needs and significantly reduce time to value. Prior to joining Reciprocity, Lovro worked for the biggest Slovenian telecommunications company developing IPTV platforms. He has more than a decade of experience in software engineering from web, backend, and architecting a solution to DevOPS in various programming languages. On a more personal note he has no personal favourite language, more like right tool for the right job kinda guy and is an avid learner and adopter of new technologies. Lovro enjoys spending his free time with his family, cooking for them and after he has some alone time, also reading a good book. He is also a fan of any sports activity, based on the available time. Prior to joining Reciprocity, Matic worked at Sportradar as a full-stack developer. With a strong passion for a well written, documented, and scalable codebase, he helped bring a touch of order to a fast-growing and messy project. Eager to remain outside his comfort zone, he is constantly learning new things and has never shied away from solving difficult and meaningful problems. He studied computer science at the University of Ljubljana. In his free time, Matic loves to travel, engage in a variety of sports, read random tech articles, and on occasion likes to engage in complex discussions ranging from science, history, philosophy, and psychology. In his off-time, Mato co-hosts a radio programme on indie games, teaches regular people to code and is a member of a hacktivist collective. Of all physical activities, he hates rock climbing and walking his dog the least. Matt has worked in business development and account management for startup and late stage technology companies across industries. He has an affinity for startup culture, and gets excited about solving meaningful business problems for customers and building a successful company. Matt is a graduate of UC Santa Barbara. In his free time Matt enjoys athletic competition, whether pickup basketball, recreation league softball, a round of golf, or downhill skiing. Maxine has consulted at major firms including The Walt Disney Company, Cylance, Experian, and Hyundai Autoever America. Her accomplishments and skills include Governance, Risk, and Compliance Cybersecurity, Data Privacy and Protection, eDiscovery and General Data Protection Regulation (GDPR). She has helped clients strategically and tactically with developing technical and compliance solutions. Maxine is a GRC expert actively engaged with helping customers take a holistic approach to governance, risks and compliance. Maxine spends her free-traveling across the globe, tapping into her creative side designing apparel and textiles, researching botanicals and ingredients for the family business. Miha graduated with a degree in software engineering from the University of Ljubljana and is currently working on his Master's in computer science there. He co-published “Reservoir Sampling Techniques in Modern Data Analysis". Miha enjoys surfing, snowboarding, and skating. He enjoys taking long walks in nature with his dog. Mitch is a cybersecurity and compliance expert with a background in IT audit and security consulting. He has received a degree in business management from a school south of Salt Lake City, UT. He has a vision of a world with all the perks that come with technology, but with the security and privacy of the ‘olden’ days. Mitch is a big music fan, including a passion for live music. He loves hiking with his dog Chipper, skiing, and making delicious meals. Monica has several years of experience as a Sales Development Representative and handling enterprise accounts. She has worked with a few start-up companies and is very familiar with the Security Space. She is highly organized, a motivated and competitive individual. With experience in developing, influencing, executing sales, marketing and brand management. Monica has three beautiful children and out of the three she has a set of boy/girl twins. When she is not busy with the kids, she enjoys traveling, attending Arts and Crafts fairs, wine tasting, dining, and shopping. Nada graduated from Faculty of Technical Sciences, Novi Sad University. Prior to joining Reciprocity Inc., Nada gained an extensive professional background in QA software testing, Internet marketing, E-business, Sales, Consulting and Marketing. Nada is passionate motorcycle driver. She loves people, nature and she thinks that most important part of life is family, friends and community. Nejc enjoys numerous outdoor activities. During his free time you can find him in the mountains, where he climbs, hikes, and skis. When the weather turns bad, he plays chess or reads books about cutting-edge technologies. Nudli is the security for our office in the Ljubljana, working hard to make sure that everyone pets him. Nudli likes chasing squirrels, hiking, and mountain biking the most. Predrag has been a product manager with more than 17 years of IT experience in web development, mainly focused on information architecture, usability and user interface design for SaaS solutions. Sociologist trapped with a degree in IT & Mathematics. Keeps trying to continue with long distance running, so he can outrun his kids. Not a fan of SF food. Primož started programing in high-school and has dabbled in microchip, back-end, and mobile programming, but has focused on web front-end for the last 3+ years because of his interest in design, UX and anything visual. Prior to joining Reciprocity he worked on projects for international companies like Sixt Leasing, Vichy, Peugeot, big Slovenian companies and also as a freelancer on smaller projects. Primož is a self-proclaimed gourmand, but to burn all the delicious calories also works out almost every day. He enjoys going to the gym, kickboxing and occasional mountain hiking. Rebecca has spent the last several years of her career focusing on B2B sales and developed a broad range of sales approaches working throughout the United States and Canada to increase the sustainability of medical practices. She is excited to transition into the Tech industry and be apart of a rapidly-growing startup. On her days off she can found doing handstands somewhere with a beautiful backdrop. She loves road trips, reading anything Beatnik and music of all genres, and playing guitar. Roman is a certified QA engineer with more than 10 years of experience in Quality Assurance. He provided the highest quality work on 15+ projects for top Ukrainian outsourcing companies , among them health care and animal research projects. For a year Roman worked as a Fox Pro developer and also took part in Automation testing development on a few medium projects. Roman likes music, cars, and traveling. Ross had spent the past 4 years in sales working for a variety of different companies. His passion lies in security software which lead him to Reciprocity! Ross has lived in the SF bay area all his life. In Ross' free time he enjoys spending time with his fiance and their dog, Maverick. He loves to cook and spends a lot of the time either in the kitchen or at the grill. Tahoe is one of his favorite places to be during the winter season. Ryan is excited to join the world of start-ups after 3 successful years of hospitality sales at Marriott. Whether it be coming up with creative solutions to new problems, or finding great solutions to prospective customers, Ryan works tirelessly to learn and better his skill-set on a daily basis. Ryan received a BA in Anthropology at the University of Arizona. In his free time, Ryan can either be found attending a music show, make 3's rain in his weekly basketball games, or cheering on his UofA Wildcats. Saleem loves the challenges and excitement of working in a startup environment. In the past, in addition to managing and growing business for others, he has also launched his own startup and developed several product lines in the food industry. He also has a strong background in project management and loves to collaborate with team members to achieve long-term goals. He has an M.B.A. from Saint Mary’s College of California and a B.A. in Philosophy from UC Davis. Saleem enjoys running for miles all over the hilly streets of San Francisco. Most of all, he loves to spend quality time with his wife and 2-year-old daughter. Outside of work, Sarah enjoys yoga (both practicing and teaching), Barry's Bootcamp, and travel. The past 4 years have brought Sasha through the heart of the SF startup world, from the financial operations of retail manufacturing, IT services, and Healthcare Communications. With a community-based ethic, she holds to the belief that accounting and finance are about the people. Sasha looks forward to maintaining and growing her part in the foundation of enablement and innovation at Reciprocity. Sasha enjoys hiking, camping, the occasional Mountain Summit, and discovering delicious food. During her time off, she can be found in an alley cafe, at the fringes of cell service, or as volunteer CFO of an SF based non-profit arts organization. Shelley comes to Reciprocity from the yachting industry, where she worked as crew aboard privately owned super yachts. She planned passages for and navigated tens of thousands of miles through the Atlantic and Pacific Oceans and the Mediterranean, Baltic, and Caribbean Seas. Her work at sea in roles including navigation and safety officer, first mate, and dive/watersports instructor has provided her with invaluable experience working in dynamic environments, training both crew and guests alike, preparing ships for surveys, and providing the ultimate hospitality experience. A lifelong traveller, Shelley longs to explore even the remotest corners of the world. She craves adventure, enjoys all outdoor activities, and has a soft spot for dogs. Spencer is returning to sales after a 4 year career in the legal cannabis space and has experience selling to small businesses across many verticals for Yelp Inc. He is excited about bringing his strengths to the team at Reciprocity and enthusiastic about building new professional relationships in the infosec space. Spencer graduated with a degree in English and German from Arcadia University in Glenside, Pennsylvania. An avid outdoorsman, Spencer has a passion for the mountains and exploring our National Parks through multi-pitch climbing and mountaineering. He likes bitter IPAs, black coffee, and getting outside with his one-year-old Husky, Apollo. Tom brings order through applying leading practices and aligning Information Technology (IT), cybersecurity and privacy requirements with business objectives. Through implementing industry-leading practices and risk mitigation strategies, he offers "brand protection" for companies by identifying and reducing vulnerabilities, which could otherwise be exploited and do serious harm to a company’s reputation and bottom line. Tom Cornelius delivers results. 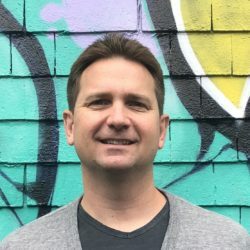 His skillset is unique in that it blends hands-on leadership, technical skills, an understanding of business needs, and a thorough understanding of cybersecurity operations, Governance, Risk, Compliance (GRC) and privacy. For over a decade, Tom has called the pacific northwest home and his hobby is collecting hobbies (he gets bored easily and has to amuse himself with new challenges). While his GRC work has him focused on the digital world, his current passion is being an amateur blacksmith where he uses low-tech tools to makes a variety of hand-crafted blades and decorative metal objects. Thea is an expert lead generation contractor with more than 5 years of experience in web research, data entry, prospect list building and administrative services. Prior to joining Reciprocity, Thea has been working in the BPO industry for 5 years as technical/customer suppport liaison. She graduated from University of Saint La Salle with a BS in AB Psychology, and did completed a BS in Computer Science at AMA Computer College. Thea is happily married, a mother of a 4 year old boy and an expectant mother to her 2nd. She's currently based in the Philippines. When she's not preoccupied with work she enjoys spending her time with her 2 boys playing online games and watching ball games. Thea is also an avid karaoke fan. Tina studied International business at the University of Ljubljana and is excited that she is a part of the dynamic startup scene. Her background consists of working in banking, insurance, and in the legal field. Her desire to face new challenges, learn different aspects of operations, recruiting, and work in an international environment are the reasons that brought her to Reciprocity. Tina enjoys hıkıng, swimming, traveling and nature exploration. She speaks fluent German, loves getting together with her friends, going dancing, and going to live musical acts. Tomaž recently graduated with a master's degree in software engineering from the University of Ljubljana. He is passionate about learning new technologies and expanding his knowledge in the field. Thinking about any sort of optimization problem has never been a burden to him. Tomaž enjoys walking in nature and running. He likes reading biographies and random science related stuff. He's a fan of Elon Musk. Tristan has spent most of her career involved in the technology industry, where she’s worked as a writer/reporter, website designer, social media expert, and business analyst. Her current goal at Reciprocity is to help the company communicate fluidly with clients through easy-to-understand tutorials and help documentation. If you don’t find Tristan on a bicycle or helping her 6-year-old daughter make a messy cake in the kitchen, you may find her on the patio of a nearby restaurant with a margarita in her hand. Uroš is a full-stack software engineer with more than a decade of technical and leadership experience. After participating in hackerspace Cyberpipe in Ljubljana, he joined the team at Marand, developing next-generation software for Institute of Oncology. At XLAB R&D he honed the technical and leadership skills in a wide variety of projects, from web apps and GIS systems to EU-funded multinational cooperatives. He got involved in intrapreneurship, helping multiple startups get off the ground and eventually joined Datafy.it startup. As a CTO in a small team, he gained valuable experience in architecture and product design develops and scaling as well as leadership and management. He joined Reciprocity to level-up his technical and management skills. Uroš enjoys exploring foreign lands, mostly through tasty food, good beer, and fine wine. He is an avid sailor, with the wind in his hair on and off racecourse whenever possible. During his off time, Victor likes to golf at different courses around the Bay Area and enjoys fishing all the different waters that the Bay Area has to offer. Victor and his wife love to vacation in Hawaii and try to go at least once a year.